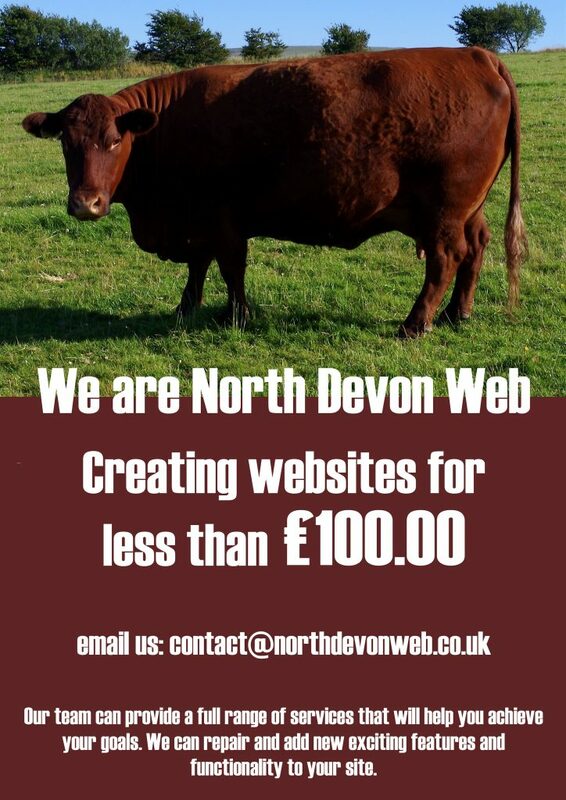 North Devon Web can provide green web hosting for clients in Barnstaple. There are lots of companies on the web who can provide cheap options - the majority are trustworthy. We can arrange hosting either in the UK or in the USA; we have clients who host on both sides of the Atlantic. To reduce your project costs. To deliver quality all the time. North Devon Web provides a web site updating service. We will update your site, even if we didn't design it in the first place. There is nothing worse than a web site that contains out of date information....this gives the buying public the wrong impression.Your web presence is important, a vital link between 'you' and 'them'. This is a vital marketing strategy: information is power and sharing information increases your presence and ultimately sales. The Internet is a tool that connects you with businesses and people and smart businesses, communicate with their clients directly, pulling in the voyeurs and boosting their sales; they stay in front of the curve and their rivals. All this is achievable by using the Internet to its full marketing, and interaction potential. Try your hand at real search engine optimisation, look at your site and fix those broken links, update the content, sort out the keywords and phrases. Harnessing the power of the Internet to improve your website’s rank in the search engine results pages is a way to achieve your dreams. Don't be content with just having 'lookers' or 'peepers', be more positive and proactive with your time, improve and inspire, corral your visitors and steer them towards your products. Create a cage that keeps them locked into your site; tame them so they don't want to leave. Set your traps carefully and take money from your visitors. Our prices are still the same as 2011 - in fact our design package is cheaper!!! !